Are you eagerly awaiting the season premiere of Downton Abbey Season Five? See it a full month before it debuts in the U.S. as Houston Public Media hosts free screenings of the season premiere at three locations. At the screenings, fans of Houston Public Media's talk show Manor of Speaking will have a chance to meet some of their favorite stars. Add to the fun by dressing for the occasion in Downton attire. 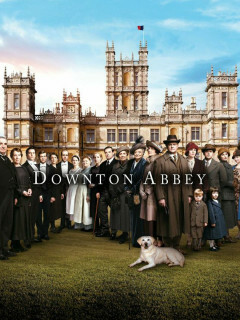 A Dress for Downton contest will be held at each screening, with the winner receiving two season passes to the weekly tapings of Manor of Speaking. 10 a.m. - Santikos Palladium AVX, 7301 Grand Parkway, Richmond. 10 a.m. - Santikos Silverado IMAX, 24720 Tomball Parkway, Tomball. 7:30 p.m. - The University Center Theatre, 4100 University Dr., Room 103, Houston.